On 28th January 2019, Uganda Cooperative Alliance held a meeting with the Speaker of Parliament the Rt. Hon. Rebecca Kadaga on cooperative development in Uganda especially in rural areas. 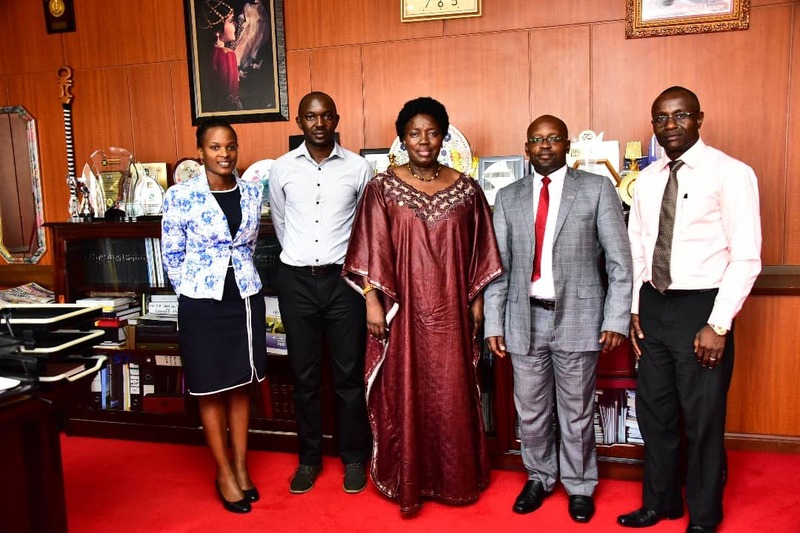 The speaker while at the meeting requested Uganda Cooperative Alliance to support weak cooperatives especially when it comes to marketing and agro-processing of their products, she pointed out the case of Busoga where fruit and groundnut farmers are struggling to find a market. UCA through the General Secretary CPA Ivan Asiimwe pledged to support cooperatives in areas of Capacity building & arbitration given its mandate as the apex body for all cooperatives in the country.